Aksys Games has announced that they will be bringing Exist Archive: The Other Side of the Sky to North America on October 18. The tri-Ace/Spike Chunsoft developed RPG, which will hit the PlayStation 4 and PlayStation Vita, previously released in Japan back in December 2015. Following in the footsteps of tri-Ace classic Valkyrie Profile, Exist Archive is a 2D side-scrolling RPG. After perishing in a massive explosion at the beginning of the title, the player now finds himself in a strange world. Along with 11 other individuals, you serve as an immortal vessel for Yamatoga, the god that killed you in the first place. Thanks to the powers bestowed upon you, though, you are soon thrust into a war between the gods. Combat in Exist Archive is handled through a unique system that lets you map specific attacks to different buttons on the controller. Figuring out the right combination of attacks to use is key to dishing out maximum damage upon your foes. Picking which members of your party you do battle with is also an important factor of the combat system, as learning how to balance your Friendship, Rival and Affection levels has the potential to unlock awesome new skills. Going off the quality of most of tri-Ace’s titles, this RPG has potential to be one of the best available on both the PS4 and Vita. The game boasts over 50 hours of content and the combat engine should allow for players to really experiment. What should really appeal to North American RPG fans, though, is the fact that it will feature both English and Japanese voice options. 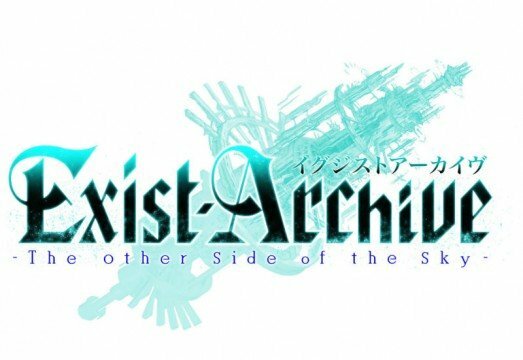 We will continue to have coverage of Exist Archive: The Other Side of the Sky in the lead-up to its October release, so be sure to stay tuned for more.